County Track and Field Championships are the first serious step for aspiring athletes and medals won frequently herald the start of a successful career. Liverpool Pembroke Sefton collected a hatful of indicators over an inspiring weekend. At Bebington for the Merseyside event the club`s High Jumpers once again delivered in abundance. Under 17 Kai Finch reached a new height with 1.90m, importantly an English Schools qualifier. Owen Southern was equally assured intaking the U15 title with 1.75m. The story didn`t end there with victories in the U15 Girls going to Sadie McNulty with 1.50m and at U13 Imogen Ayes on second(1.40m).U13 Niamh Doyle(1.35m) stormed her event and Jorde Inspired by coach, Dave McComb, this has to be one of the best groups in the country. There was a confident performance from Emily Brough, first in the U13 1200m(4.01.2). Then there was a string of talented Under 15`s results. There were good wins for Alice Prescott(300m in 43.7) and Matthew Farclough(Shot Putt with 7.29m). Matt was additionally second in the Javelin(22.47m). Callum Garver is emerging as a fine sprint prospect with second in both the 100m(12.20) and 300m(40.4) plus third in the 200m(25.1). Emerging Long Jumpers Alice Prescott(4.86m) and Erin Birchall(4.68m) won silver and bronze. Joe Houghton showed courage at 800m(2.12.6) to collect second. He will surely progress. in taking second in the 800m in an excellent 2.01.7. Alex Bunclark took a couple of medals home(2nd Javelin with 24.55m) and third in the 300m Hurdles(53.7). On to the older age groups and Aaron Jarvis was third in the U20 3000m(9.08.90. He will build on this. To round off two top class performances came from the club`s 400m specialists. U20 Joe Milton strode home clear of the rest with 50.3. Danny Higham had a tougher fight at Senior level and was second with an excellent 49.6. The question was whether these results could be matched with the club`s turn out at Blackpool for the Lancashire event. Arguably the best performance of the entire weekend came here was Elliot Jones`s stunning U20 100m win in 10.8. This takes him up the national rankings substantially but also to fourth best on the club`s all-time list. Sprinting with increasing fluidity U15 Lauren Lewis took her 100m in 12.9, subsequently adding a silver in the Long Jump(4.85m). 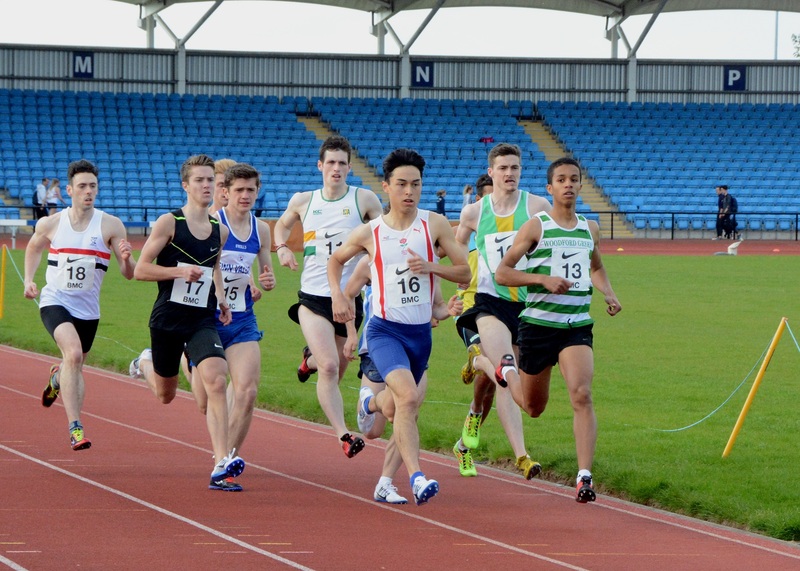 Two other great wins came from U20 Ed Latimer(400m in 50.5) and U13 Mark Roberts(800m in 2.21.2). Charlotte Mawdsley U20 won the 3000m in 11.24.8. The story was not yet over as Evelyn Smalley was second in the U20 200m in 27.3 as was Abigail Bamber in her U13 100m(14.00). U20 Lucy Townson went away with a gold/silver(400m Hurdles with 76.6 and 400m with 63.3). Rounding off as usual was veteran Dave Brown with two bronze medals(Discus32.61m and Hammer 28.84m). 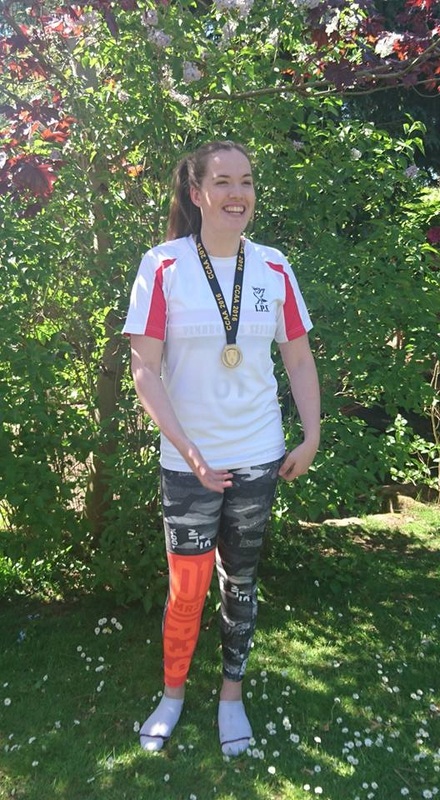 Dave`s mind, however, was probably elsewhere in the Cheshire Championships where his protégé Jenny Pyatt took that title with a magnificent 41.54m marginally increasing her club record. At the British Milers Club graded races at Manchester Harry Doran nearly beat his best 800m time with 1.49.80. A lot further afield Mchael Rimmer was in Shanghai in an IAAF Diamond League meeting preparing for yet another challenge for Olympic selection. The race was stuffed yet again with talented Kenyans including the Olympic champion David Rudisha who could only manage fifth. Michael was ninth with 1.47.44.